Captain Cook’s Online Casino is a member of the esteemed Casino Rewards Group. This is a download only casino that takes you on a superb voyage into a sensationally nautical themed environment, giving you the opportunity to find some buried treasured and shiver your timbers as you get stuck into the many thrilling slot machines (over 500 to be exact) and myriad of table and dice games. This casino is powered solely by Microgaming, one of the top providers in terms of special effects and high-quality graphics. The casino warmly welcomes new players with a bounteous 275% match deposit bonus and 100 instant chances to become a millionaire. So, gear up for the voyage of a lifetime! As a part of the Rewards Group, this online casino relies on a reputation that’s recognized for providing many years of top-quality casino entertainment. The company is licensed by the Kahnawake Gaming Commission, the UK Gambling Commission and the Maltese Gaming Authority and it is independently audited by none other than eCOGRA. That means they abide by all the strict rules and regulations of responsible and fair online gambling and there’s always reports available should players need further peace of mind. So, there’s reliable and trustworthy entertainment, a welcome bonus, customer support on hand and strict safety and security measures in place for an exceptional gaming experience. 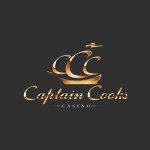 Let’s expand on all of that to bring you our complete review of Captain Cook’s Casino. First deposit – £5 deposit with 100 chances which relates to a bonus of £25 that you can use on the enticing progressive online slot jackpots. You get 100 chances to achieve potential millionaire status. What is incredibly exciting about this welcome bonus is the seriously low qualifying deposit amount. You only need to deposit £5 to qualify and receive your welcome package. That’s an amazing way to start playing your favorite titles and tables. The rewards don’t stop there, though. As a member of the Casino Rewards Group, when you sign up to Captain Cook’s Casino, you automatically become a member of the highly-regarded loyalty programme. For every 100 points you earn as you wager, you get cashback, once you’ve accumulated 1,000 points. Get to that point, and you’ll also unlock bigger and better promotions and more chances to win. Captain Cooks provides a secure, safe and hassle-free banking system to all players. You can deposit and withdraw your funds using several popular transaction methods, including bank transfers, e-wallets and traditional card payments. For debit and credit cards, there is a minimum £50 withdrawal fee and 3-day processing time. For e-wallets like PayPal, Neteller and Skrill, the same applies. Instadebit takes just 1 – 2 working days to process withdrawals and the minimum amount to take out is also £50. For direct bank transfers, the minimum is £50 for withdrawals less than £3,000 and £100 for withdrawals over £3,000. The processing time is 6 to 10 business days. Minimum deposits are just £5 and don’t incur any fees. As we said in the beginning, Captain Cook uses Microgaming software for all its games. Downloading the software from the website onto your PC desktop is quick and easy and there are over 450 different games for you to try your luck at. You’ll find the usual selection of slot machines, video poker, table games and keno. Being Microgaming, the slots are superb, and you’ll also find a myriad of progressive jackpots like Major Millions and Mega Moolah. With so many great and latest titles, you’ll never be short for entertainment when you hop aboard Captain Cook’s ship. There’s a comprehensive range of traditional 3-reel slots, exciting and rather extravagant 5-reel slots and a whole host of progressive jackpots to play for. Some of the more notable and loved games available at this online casino include Gypsy Queen, Thunderstruck 2, Basketball Star and many others. That’s not all, though. Captain Cooks brings you a full casino environment, and that means not just slots. You can play a host of table games, too, including roulette and blackjack. You’ll find both in a range of different themed styles with some super-realistic graphics. There’s also a full selection of card and dice games. If you are poker mad, you are going to love the massive variety of video poker options at Captain Cooks Online Casino. There’s an array of traditional and rather interesting poker games on offer to make sure you never run out of fun things to play. Microgaming, developed in 1994, is recognised as an innovator and leader in the industry. 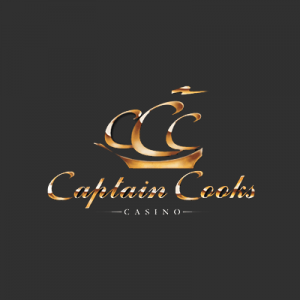 With a list of awards and acclaim for improvements in new tech, along with incredibly high standards, your gaming experience at Captain Cooks is sure to be one of excellence. In fact, this casino stands out for its superior visual performance, hundreds of games and mobile technology. At this casino, you get a highly realistic gaming experience with dedicated focus on meeting your playing needs. Sadly, Captain Cooks doesn’t have a live dealer section, which would be great considering how many versions of roulette, poker and blackjack are on offer. Here’s hoping live dealers are added in the future. Captain Cooks mobile casino is fast to get the hang of and super-easy to use. Many players look for the availability of a mobile casino before the sign up, and Captain Cooks doesn’t disappoint. The mobile version of the online casino is compatible with all Apple, Android and Windows smartphones and tables, so you’ll find the games clear, fast to load and flawless in appearance. In fact, the HD games play incredibly well on mobile. Captain Cooks online casino doesn’t have a dedicated app to download, so you can just login to your player account via your mobile device’s browser and enjoy access to the full list of games, customer support, bonuses and banking. The website has, overall, been designed to be highly responsive, so no matter the size of your device’s screen, Captain Cooks will adapt accordingly. As with any type of online transaction, the most important thing to look for when dealing with an online venture is its licensing to see whether or not it’s legit. Good news, Captain Cook’s online casino is sufficiently licensed by all the relevant licensing bodies, rendering it completely reputable. Just some of the licenses this casino holds include the Maltese Gaming Authority, the Kahnawake Gaming Commission and the UK Gambling Commission. 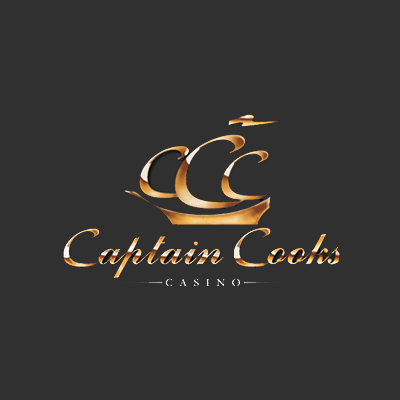 As for safety and security, Captain Cook’s is a member of the Casino Rewards Group, which is exactly why you can rest assured you will get a safe and fair gaming experience. The casino carries eCOGRA’s approval, too, for fair and random games and it also means this casino adheres to a list of strict rules and regulations within the gambling industry. What’s more, the use of Microgaming’s platform is another factor that makes the software safe and reliable. All your personal and financial data is well and truly guarded with additional help from first-in-class SSL software technology. If you need help at any point during your sign up and playing time, there is an efficient and friendly support system in place that enables you to convey all kinds of queries you may have regarding Captain Cook’s Casino. There’s a toll0free number you can call 24/7 for help, there’s a dedicated email address where a representative will respond in a fairly short period of time, and there’s also the highly convenient live chat options where you can speak to a customer support agent right away. If that’s not enough, you’ll find a complete FAQ section where there are answers to commonly asked questions. After conducting our review, we can safely say that Captain Cook’s online casino is trustworthy and reliable. There’s a massive array of top-notch Microgaming games and some nice bonuses to get you started, along with the renowned Casino Rewards Group loyalty programme for added ways to win. The casino operates on a sturdy platform and is fully licensed and regulated. There is 24/7 customer support on hand if you need help, a handy FAQ section and more than 500 of the latest and classic slot and table games. We just wish there was a live dealer section. The mobile site has been properly optimised for flawless play on the go, which is always a big plus in our books. From the professionalism of this casino to the variety of rewards and quality online casino games, we are impressed with Captain Cook’s and the way in which it runs and operates. Other than the lack of live dealer games, this casino certainly lives up to its reputation and we highly recommend it to players looking to sign up to a new casino and try out an array of amazing games with plenty of chances to win big jackpots.